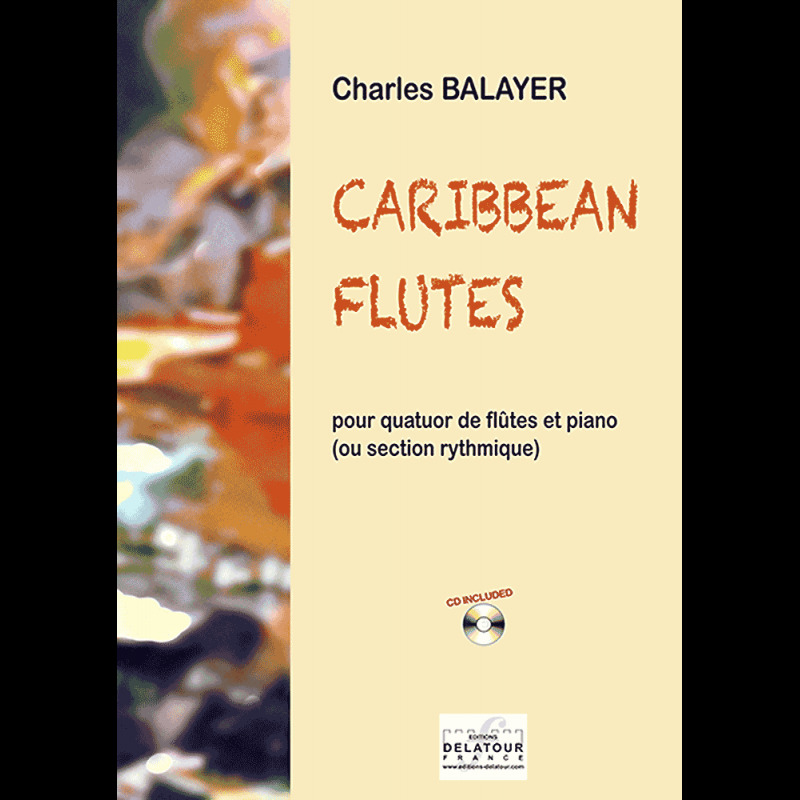 CARIBBEAN FLUTES is written for flute quartet and piano (or rhythm section, the left hand of the piano can be played by a double-bass). The 4th flute part, which must be played first and foremost on a G flute, is nevertheless playable on a C flute. Following an opening interlude, regularly repeated during the piece, a AABA theme alternates a salsa rhythm on the A parts and a swing rhythm on the B part. Written "choruses", which also can be improvised, run from 20 to 20 bars, so that each musician can play a solo part. A tutti flutes "stop chorus" precedes a piano chorus and the last exposition of the theme.